Understated design with maximum affect. 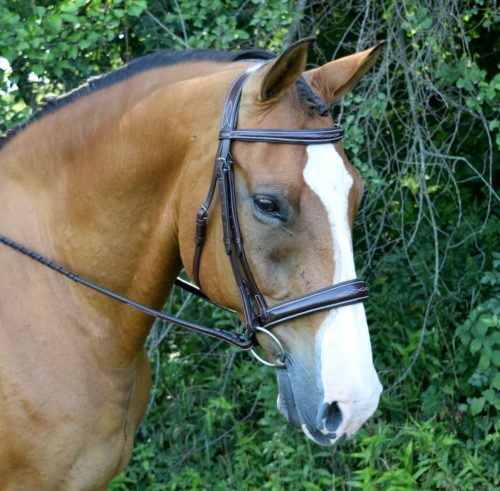 The Ocala bridle features a subtly shaped noseband and browband, as well as our new ergonomic uni-crown headstall. 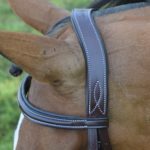 The soft padded, round raised fancy stitched noseband measures 1 1/2″ at its widest and gently tapers down to 1 3/8″ on each side and the browband measures 1” in the center and narrows to ½” on the ends. Comes complete with 5/8” fancy stitched round raised Laced Reins. This bridle is made of the finest Grade A Sedgwick’s leather. 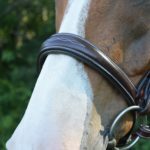 All hardware is stainless steel, with hook stud ends, and a roller buckle on the noseband.